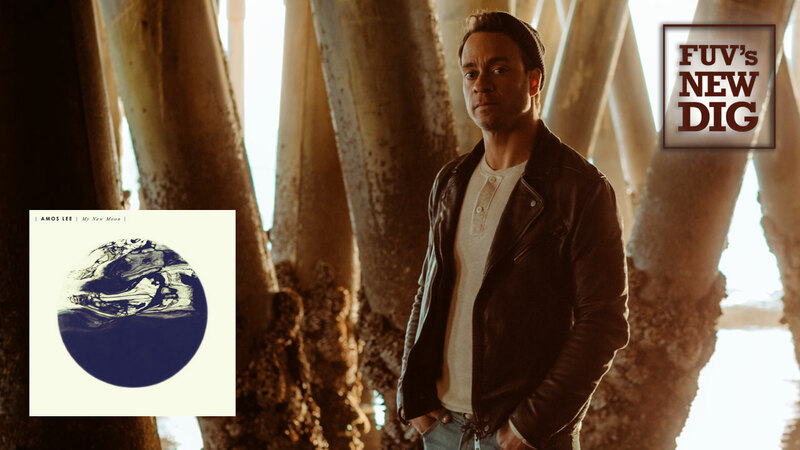 For nearly fifteen years, singer and songwriter Amos Lee has seemed like a good friend through his music. His warm, soulful voice has comforted when times are rough and has been uplifting too, when things feel more positive. Lee's songs are like miniature soundtracks to daily life. Lee's seventh studio album, My New Moon, arrives just two years after his last release, Spirit, and the new collection is filled with songs of recovery and empowerment. His lyrical perspective offers solace to anyone who is down and provides hope when things seem bleak. But that comfort isn't just meant for just the listener alone. In the album’s notes, Lee refers to these songs as “a dedication and an offering" to those who have shared their sorrows with him. He goes on to say that he found peace via these new songs during a recent period of profound loss, and now he wants to share them with others. One key example is “No More Darkness, No More Light,” which dwells in the aftermath of another tragic school shooting that Americans have endured in recent years. “Little Light,” finds strength from another person and “All You Got Is A Song” and the acoustic meditation “Hang On, Hang On” both cope with the loss of a loved one. Lee shifts styles on My New Moon from song to song, something his fans have come to expect. He's an artist who feels comfortable in many different music settings. Touches of South African jazz underscore “No More Darkness, No More Light," and Lee’s soulful side comes through on “Little Light,” punctuated with '70s-styled electric sitar. “All You Got Is A Song” possesses a more contemporary soul vibe, but Lee gets mean on the slyly sinister “Don’t Give A Damn Anymore." “I Get Weak” is textured and atmospheric and “Louisville” boasts a Phil Spector "Wall of Sound" vibe. Lee wrote all of the songs on My New Moon and turned to an industry veteran, Tony Berg (Phoebe Bridgers, Andrew Bird), to produce it. Music can be therapeutic and Lee’s My New Moon succeeds at not only being a salve for his listeners, but also for himself. Song by song, the album soothes and illuminates the spirit, even on the darkest of nights. Listen to an FUV Live concert with Amos Lee, taped at New York's McKittrick Hotel, airing on Wednesday, September 12 at 8 p.m., EDT on 90.7FM, streaming online on WFUV.org.